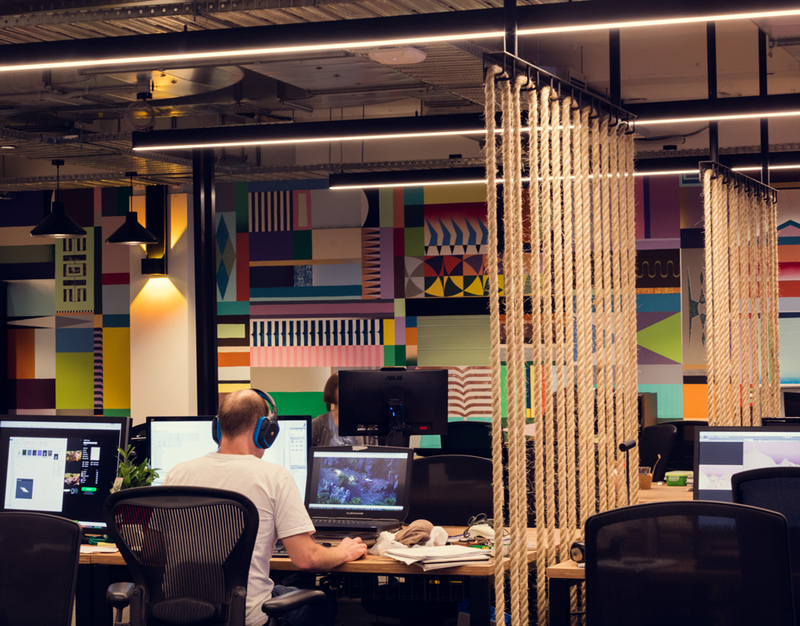 ACMI X aims to support and foster a creative community, facilitating collaboration, innovation and unforced networking across a range of film and image disciplines. This directly responds to ACMI’s desire to be a place of immediate, contemporary public and sector engagement. PANORAMA – continuation of materiality around corners/curves. LENS – shuttering image stills captured through main corridor mirrors. FRAME – perforated circular screening provides framed moments & rope aspect. ASPECT – maximizing external view access from work and public zones. REFLECTION - kitchen jewel internal mirroring creates an expansion of perceived depths. SONIC – bringing visual and practical language of sound studios into corporate spaces. The expression of these concepts is complemented by a number of unusual and uncommon materials such as: plywood linings, mirror, concrete breezeblocks, rope screens, ‘test pattern’ tiling and flock coated foam sonic panels.